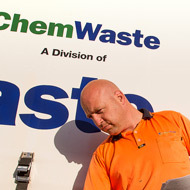 ChemWaste operates a fleet of vacuum tankers and curtain side vehicles to collect and transport liquid and packaged hazardous waste for disposal. 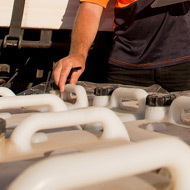 We have the ability to reach every destination in New Zealand and all waste is collected under strict accordance with land transport regulations. Our fleet of vehicles, and our drivers are compliant with New Zealand law. Our goal is to ensure that the customer's waste is collected legally and safely to facilitate eventual disposal at ChemWaste.